We encourage pupils to express themselves through art. Classroom teaching ensures progressive, high quality skills enable pupils to demonstrate views, ideas or opinions through artistic outcomes which can be justified, explained or discussed. Our annual art day also celebrates the high quality art taught and practiced within school. Our annual Art day in June focussed on colour and colour mixing. 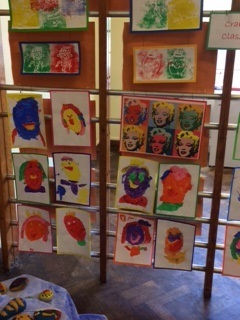 Children based their work on different artists such as Andy Warhol, Steven Brown, Wassily Kandinsky and Jackson Pollock. The children started off the day making colour wheels and then worked on colour mixing using a variety of media. 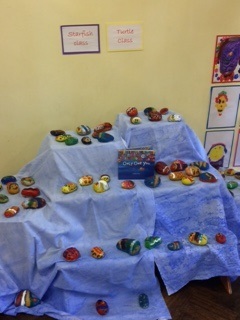 They produced some amazing work which was displayed at the Summer fete.